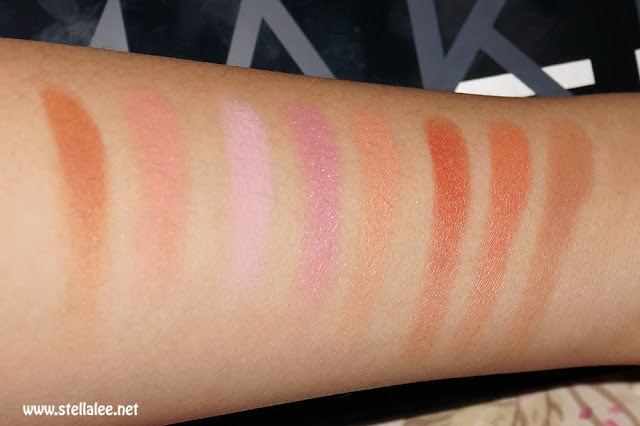 It's been a long time since I did make up products review! 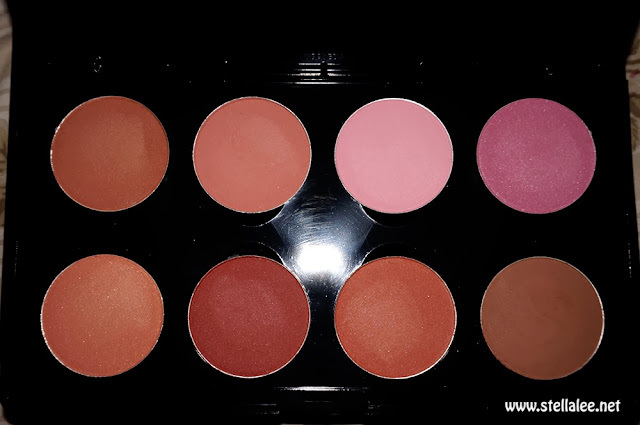 But this time I am gonna introduce to you Make Over Perfect Shade Blush On Palette!! Well, without further ado, shall we begin!! 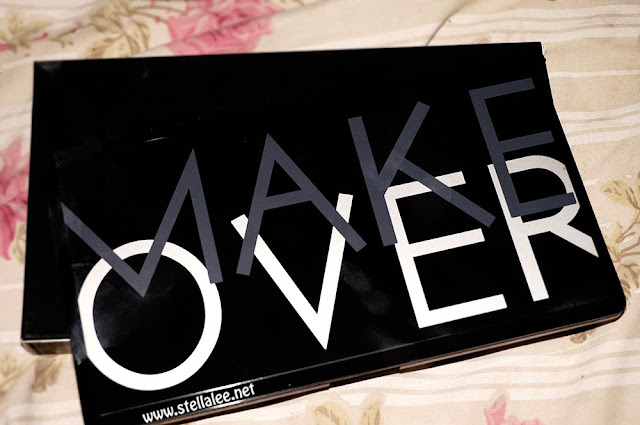 Make Over is a Cosmetic Brand from Indonesia that produces affordable make up price with high quality products. Like this Blush On Palette, it comes in a sleek black packaging like along with 8 blush on colors to choose from. The packaging is compact and look professional, it is something that I will definitely bring when I put make up on client / someone else! It comes in 8 colours of blush on to choose from. One of it is a matte brown powder that you can use for contouring! I was surprised that there are only 2 pink blush on on this palette [one light pink & one hot pink] and the rest of the blush on are more into orange and warm red! Apparently I think that there are a few shades similar to each other. 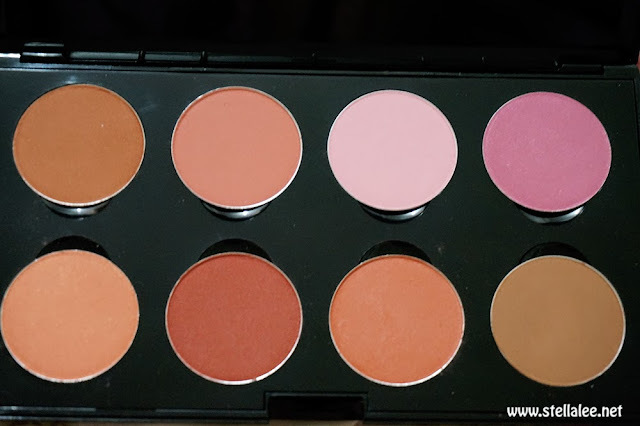 Anyway, it doesn't come with blush brush so I recommend you to always prepare one! The blush on itself is pretty smooth and glides easily, also the pigmentation is quite vivid but still gives natural result on the cheek. 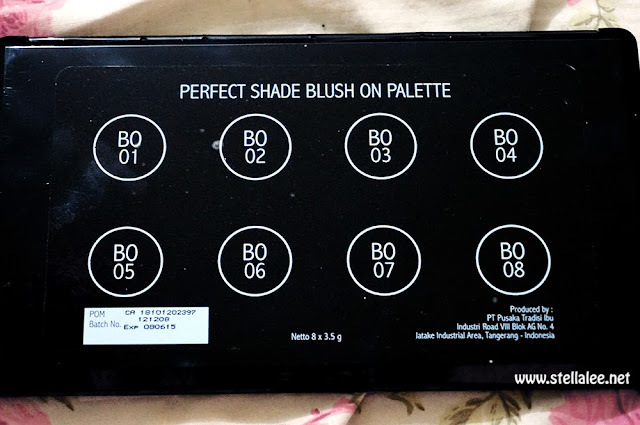 Majority of the blush colour besides the light pink blush, are on warm shade and there's only 1 shimmer noticeable on the blush, which is on the hot pink one. So I guess it's very natural and perfect for Indonesian people! Which I think is quite okay considering that you will get 8 colours. Make it only 4USD each!! So I think it's very worth it! Also since it's Indonesian Brand, making it easier for people who live in Indonesia to purchase this product! Bad side is, overseas people might have difficulty to get this out..
Have you ever heard about this brand before? Waktu pertama bgt tau ttg Make Over aku kira ini produk dari luar, gak taunya dari Indonesia. Kemarin sempet mau beli ini cuma ada keperluan lain jadi pending dulu. Ayo stella semangaaat, sama2 semester akhir juga nih huhuhu. And congratulations on finishing your final year soon!! <3 Wish you all the best!! !